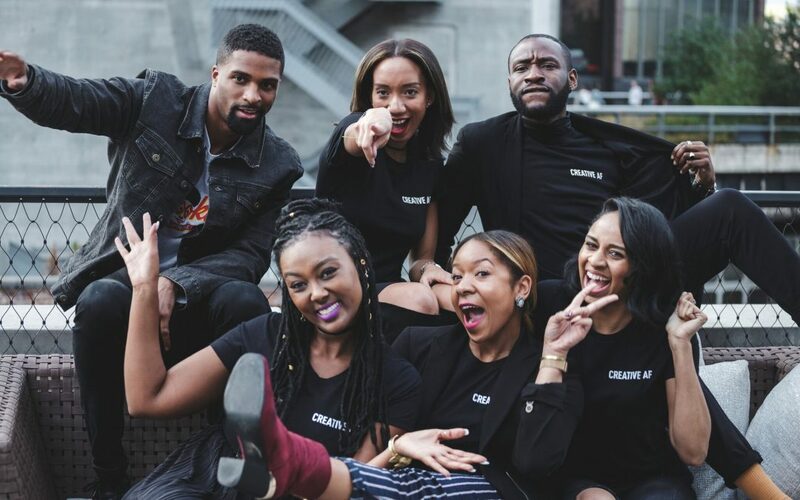 Eventually, the tribe outgrew apartment hangouts and evolved into The Creative Collective NYC, a community-driven network featuring member-taught workshops and a one-day conference. 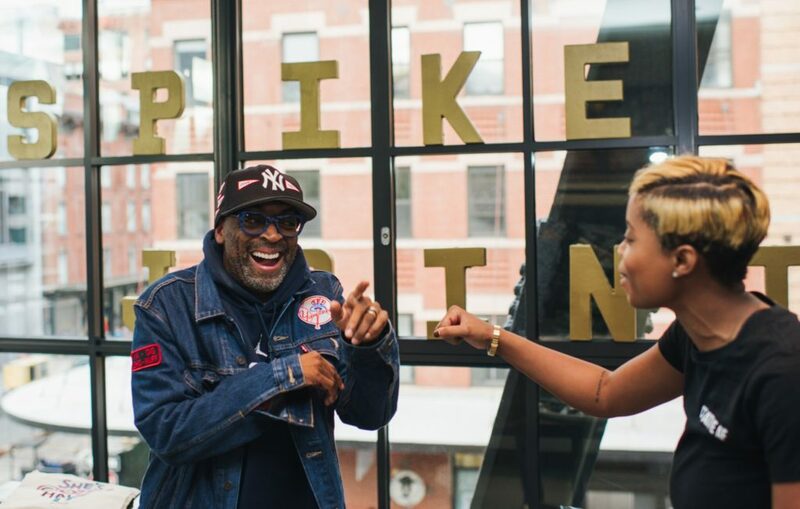 The Creative Collective NYC has hosted over 70 events, partnered with mega brands like Verizon, HBO, Revolt, and Samsung and even landed legendary Spike Lee as the keynote speaker. What’s the biggest change you’d like to see in the creative industry? I want to continue to see creatives of color owning our narrative. From telling our stories on the big screen to reshaping misconceptions that have been ingrained in the fabric of our country, it’s incredible to see the shift that is taking place in culture. While African Americans make up just 14% of the population, we are responsible for some $1.2 trillion in purchases annually (according to Nielsen) so investing in our community isn’t just the inclusive thing to do, it can increase the bottom line and drive educated business decisions. The Creative Collective NYC contributes to this shift in culture by sourcing our community for our events and initiatives. We lift as we climb and connect our members to incredible opportunities so we all win. We also serve as business ‘matchmakers,’ carefully curating rooms where melanin magic is abundant. Award-winning films have been birthed from creatives who met at our meet-ups and we take immense pride in facilitating these brave spaces. Finally, no matter the partnership—we stay true to ourselves to make sure that the collaboration is a reflection of the values we believe in. 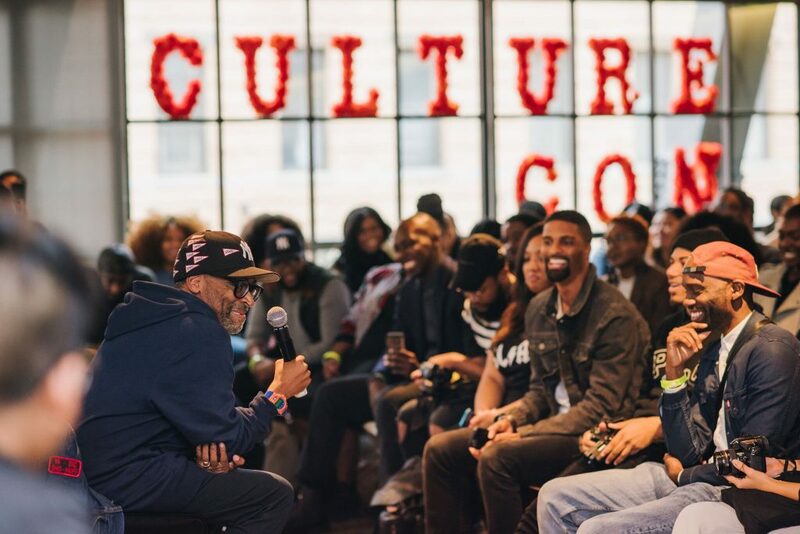 CultureCon approaches culture from a 360 degrees approach. We highlight all touchpoints of culture from social justice to content that resonates with our community. Since June 2016, what are the top three things you learned about the needs of creatives? We’ve learned that creatives need brave spaces to collaborate and build together. Although social media allows unprecedented interaction and access, individuals are lonelier than ever before (according to the Pew Research Center.) Ironically, technology plays a role in this detachment, as we replace in-person relationships with more shallow online ones. At TheCCnyc, we believe in the power of real-life connection and realize that awesome things happen when incredible creatives are dwelling in the same place. Members of TheCCnyc are presented diverse program offerings—from Night School, member-taught workshops dedicated to teaching tangible skills (including how to make avocado toast, create graphics in Photoshop, and how to set up a business model) to CultureCon, our annual day conference filled to the brim with incredible creatives shifting the culture. From speaker series with Olympians and Fortune 500 CEOS to fireside chats dedicated to the millennial perspective, members of TheCCnyc are invited to sit front row to a variety of new-age activations. When it comes to being a creative, the “starving artist mentality” often holds many people back from monetizing their skills, talents, and projects. How can creatives overcome this mentality? Creatives have to embrace a certain level of intellectual humility when it comes to approaching their art from a business point of view. Become comfortable knowing that you don’t know everything and seek advice and mentorship from those who have come before you. Conversations with fellow creatives, mentors, and business leaders can help you avoid a great number of pitfalls and empower you to realize your worth. If you’re comfortable, ask friends who are in your field what they charge—then level up together.